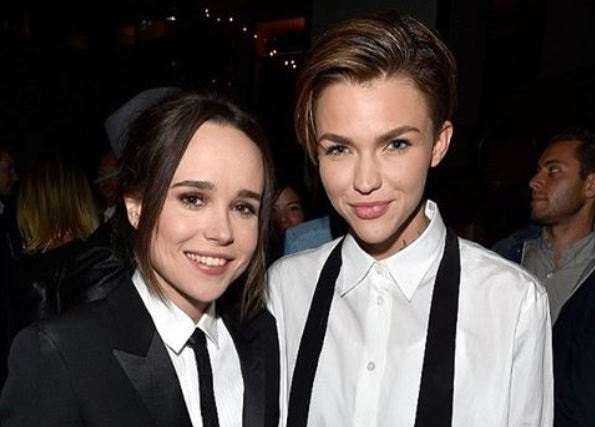 Ruby Rose has celebrated her friend Ellen Page’s 29th birthday with an adorable message on Instagram, describing the actress as her “rock”. “Happy birthday @ellenpage my beautiful little Pisces soul. I have so much to credit moving to the United States as I followed this dream of mine. So many unbelievable things it taught me and provided me. I live my dream now. Everyday. Thank god amongst all the other gifts I received I received you to help me navigate through it all,” Ruby wrote. “I never knew how crucial it would be to have loyal and real friends around me in Hollywood until push came to shove and there you were everytime, the most honest, the most fearless and the most loyal person I know. “When it comes to friendship no one does it better than you. I’m forever grateful and always proud of everything you do. See Ruby’s Instagram post below. Happy birthday @ellenpage my beautiful little Pisces soul. I have so much to credit moving to the United States as I followed this dream of mine. So many unbelievable things it taught me and provided me. I live my dream now. Everyday. Thank god amongst all the other gifts I received I received you to help me navigate through it all. I never knew how crucial it would be to have loyal and real friends around me in Hollywood until push came to shove and there you were everytime, the most honest, the most fearless and the most loyal person I know. When it comes to friendship no one does it better than you. I’m forever grateful and always proud of everything you do. There is nowhere I’d rather be than with you and @redsquare7 and that scruffy dog of yours to celebrate. I love you both and am beaming from Toronto right now that today you came into the world. My rock.